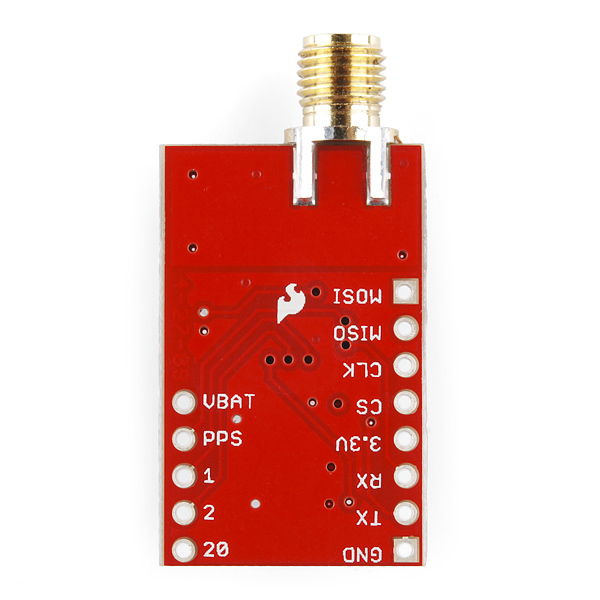 GPS receiver with the Venus634PLx which is a full featured GPS. 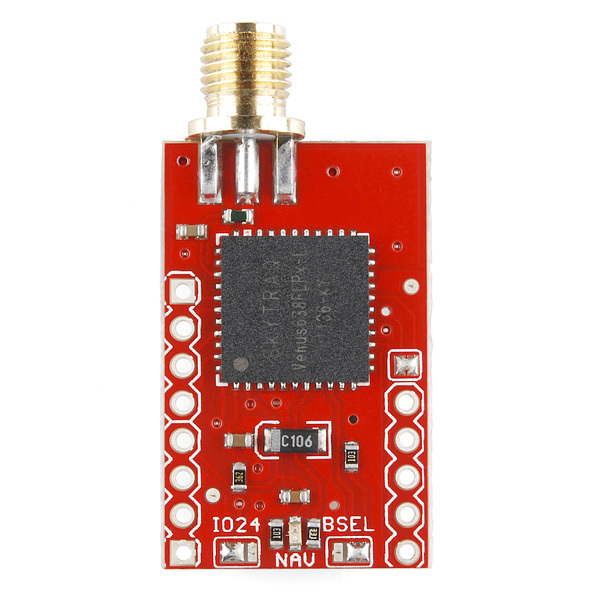 GPS Receivers are easy to use to get Lat Long and other GPS data into the arduino. I used the venus http://www.sparkfun.com/products/11058 module which is very easy to interface. Actually it was the older version of this one using the Venus634PLx as pictured below. To connect it you should ideally use a voltage converter. I did connect it directly to the arduino without problems. http://www.doctormonk.com/2012/05/sparkfun-venus-gps-and-arduino.html also did it this way. From the above site you can get some software to test the unit. The output from this program can be seen below. Make sure you use version 12 which has some nice added features. 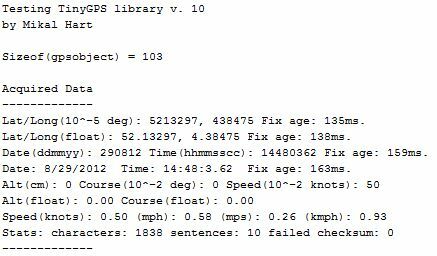 Below you can see the output from the version 10. You just need to modify some lines to say SoftwareSerial rather than NewSoftSerial to make it work as you have to adapt to the new arduino 1.0. I want to be able to understand almanac and ephemeris data and to be able to load it into my Venus module. The data should be from a generic almanac data file such as published here.